A key to success when learning a language is to know how to laugh at yourself and your mistakes. Here are some funny pitfalls to watch out for in Spanish. Whenever you are learning a new language, you are bound to make mistakes. Some of these, are possibly going to sound funny to native speakers that hear you making them. An example of these are so called false friends, where you use a word that sounds similar to an English word but means something else in your target language. Because they sound similar, false friends might make you confidently say something that is nowhere near what you actually mean! It might also be the case that you misinterpret what is being said to you because you don’t get that one key word right. At other times, simply getting a vowel, or even just a vowel sound, wrong will also completely change the meaning of some words as well. Imagine wanting to talk about a puddle and ending up talking about a poodle! Across languages there are words or expressions that have a similar form, look, or sound but a meaning that is different. In some cases, where the words are etymologically related, that is they have a common ancestor root even if their meanings have diverged, these are known as cognates. Where it is merely a coincidence, their formal name is false cognates, and these are commonly known as false friends. An example of false cognates between English and Spanish would be the words ‘much’ and mucho. They sound similar and even mean similar things, but etymologically they have nothing to do with each other. This could potentially be a false friend, but in this particular lucky case a harmless one. A true cognate on the other hand, an ‘ultimate’ (ie the same word) cognate even, might be the word impossible. 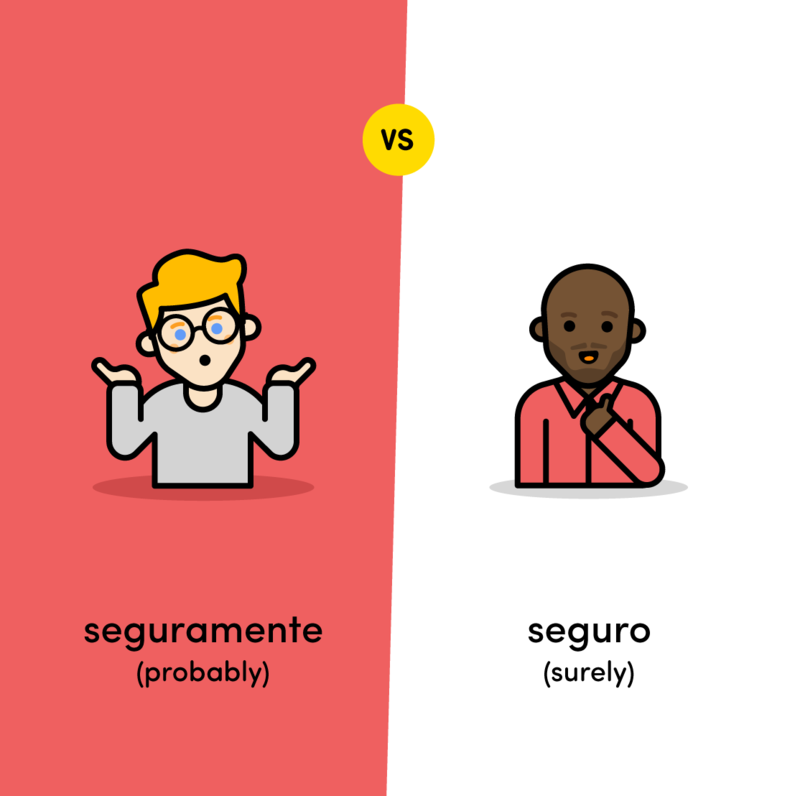 Let’s have a look at some potentially funny false friends and cognates! This first example is the ultimate trap for English speakers that are learning Spanish. 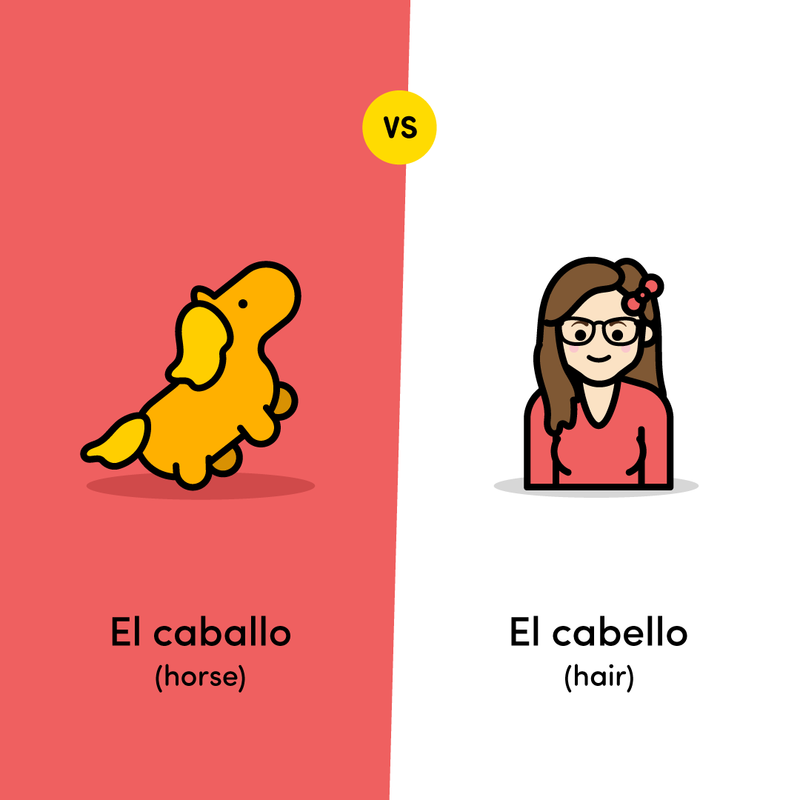 It is exactly the same word, albeit you have to say it in a Spanish kind of way, but it means two completely different things! 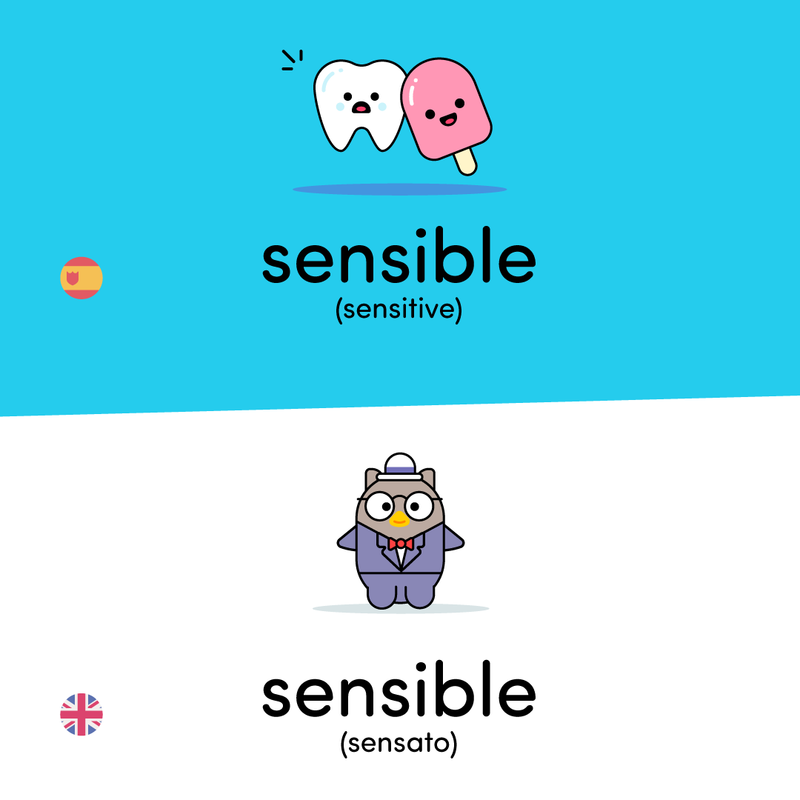 Whereas being sensible is usually a good thing in English, being sensible in Spanish (sensitive) can sometimes backfire! These cognates are an example of how a word can take two different paths in its etymological journey. 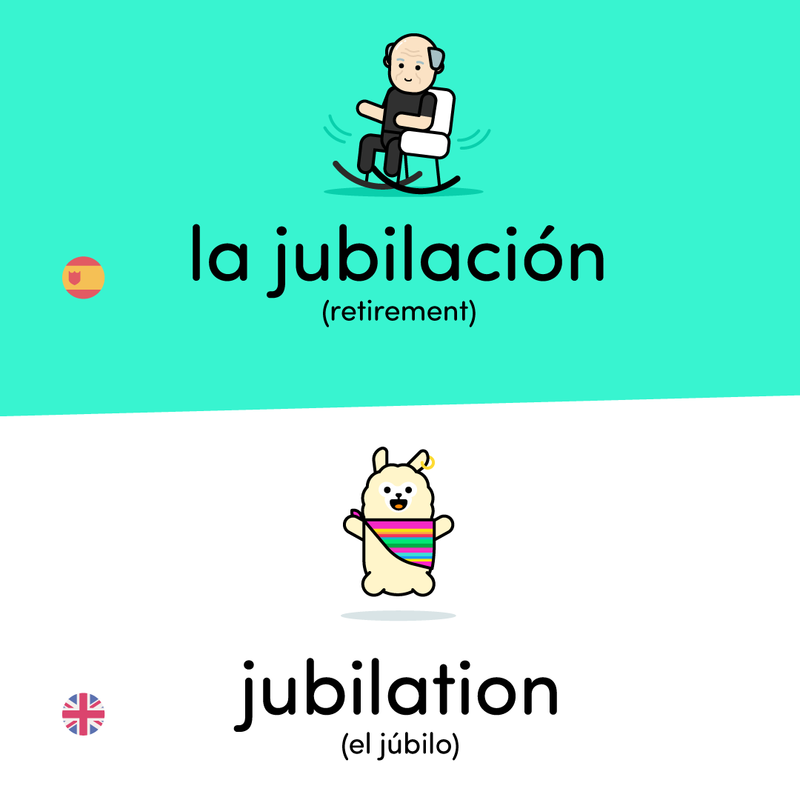 Both words are derived from the latin iubilatio, meaning ‘shouting for joy’, but whereas the English word has come to mean the feeling of joy that leads to this shouting, the Spanish cognate could be the cause of this feeling - not having to work anymore! The meaning that these two words attempt to convey changes in such a way that you should really watch out and try to not get them mixed up. It’s a big leap from someone telling you that they are disappointed to them somehow ‘confessing’ to being deceptive! Unlike the previous one, unless you need to go climbing or to tie something up, this one is quite harmless. False friends can happen because it is sometimes the case that the true cognate of a foreign word isn’t always the first one that comes to mind. 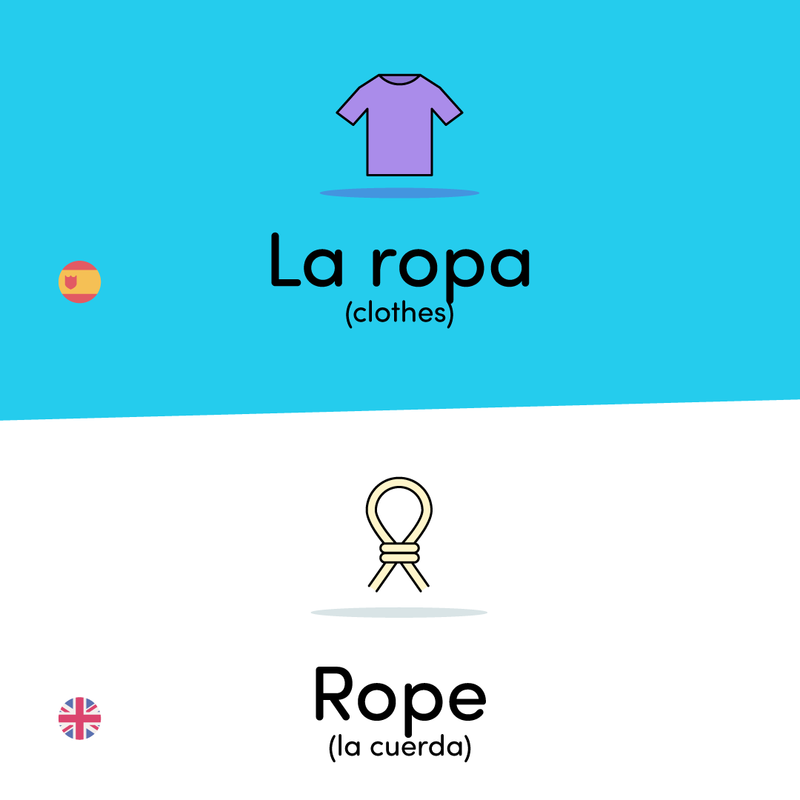 ‘Ropa’ is actually etymologically connected to the English word ‘robe’, so that’s actually quite close. If a rope is what you need, then cuerda is the word you’re looking for ;) ! This one is a really sneaky one, particularly because due to the influence of English, even some Spanish speakers fall for it, particularly in Latin America, but increasingly also in Spain. 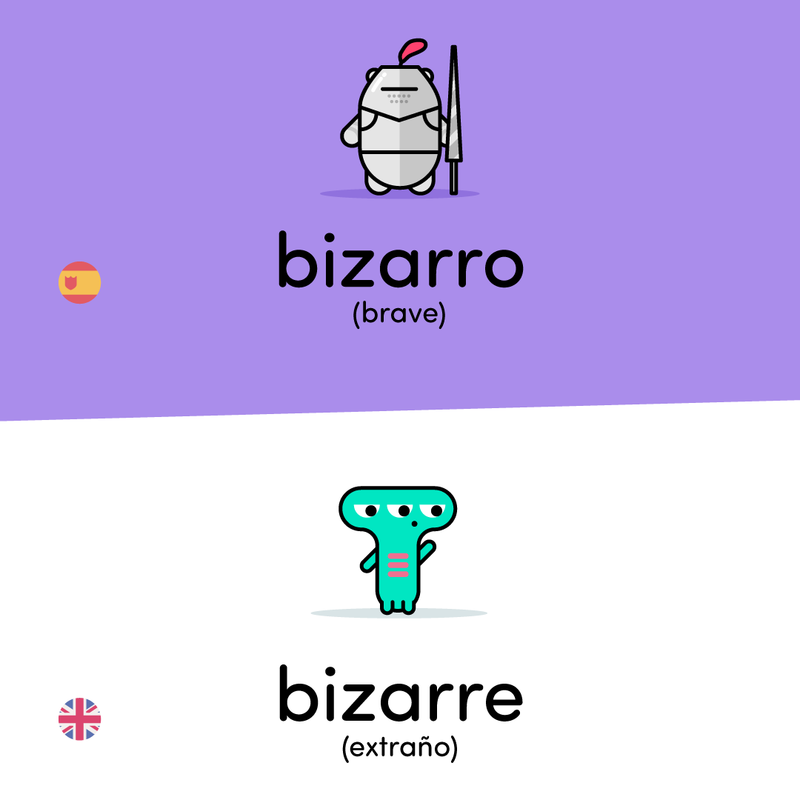 According to the dictionary though, bizarro means ‘brave’ or ‘daring’ in Spanish and not ‘strange’ like it does in English! Another one that is potentially embarrassing (pun intended) and a classic amongst Spanish learners. 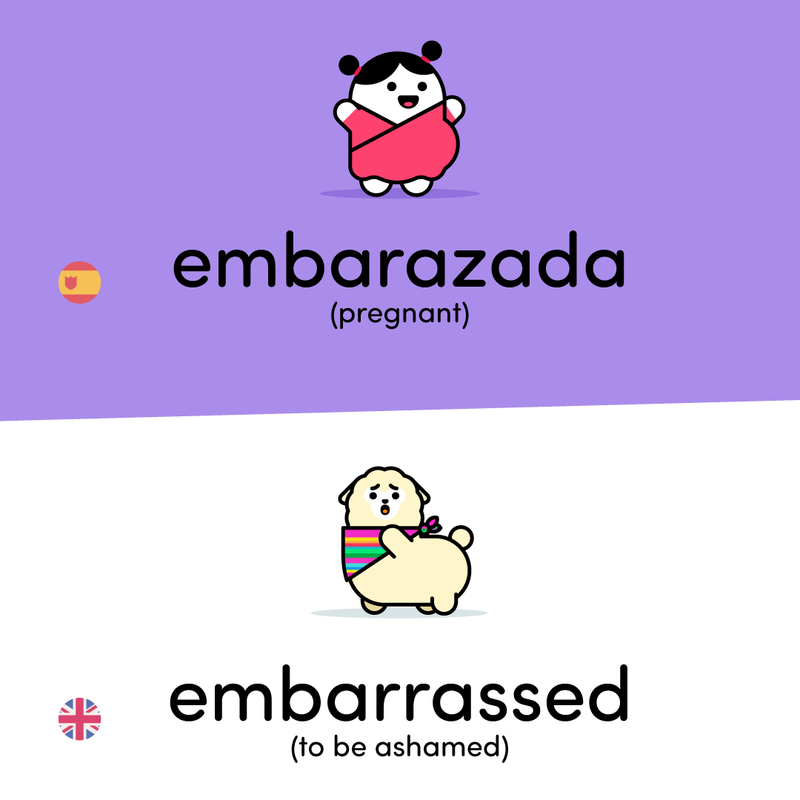 If you are embarrassed and you tell someone that you are embarazada (or even worse, embarazado) it can potentially make it worse! 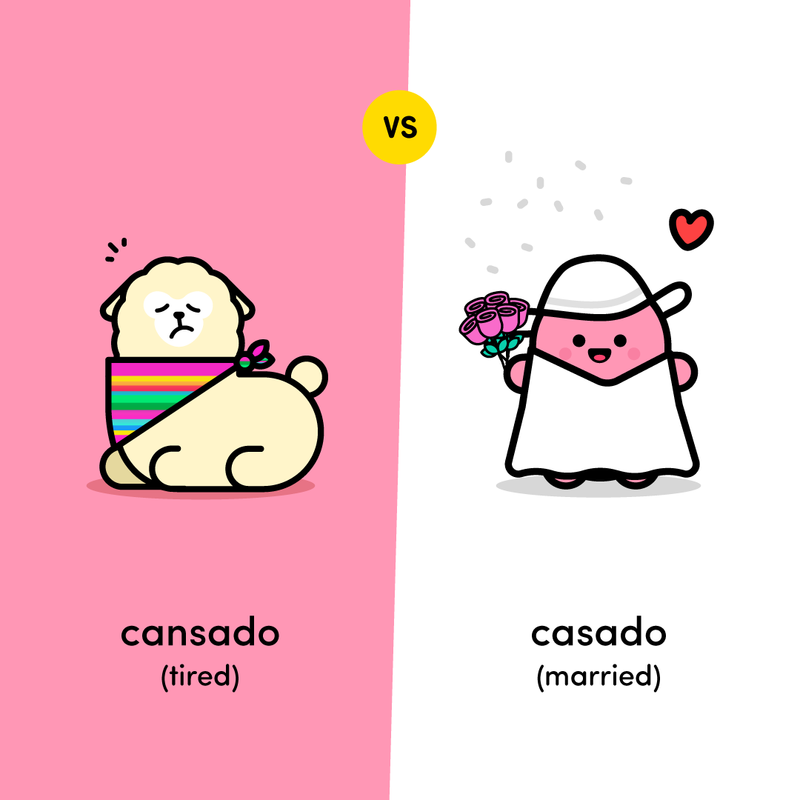 The etymology of the word explains it quite well however, because there is another very closely related word embarazoso (embarrassing) that literally means ‘uncomfortable’ in Spanish. The “linguistic reasoning”, as it were, is that being pregnant, estar embarazada, is not the most comfortable of states to be in. Go figure! Another thing that often happens to people that are learning a language is that they mix up words that sound similar in the target language, but mean completely different things. Unless you grew up with a language (and sometimes EVEN if you grew up with it) it can sometimes be hard to know the right one to choose. This can happen both when saying something or when hearing something. Much like the ‘Ketchup, Catsup’ moment Mr Burns from the Simpsons has, this can be quite funny! Pick the right one! There’s a split second of confusion at the other end of the line before the receptionist crisply replies that of course, no problem. A few minutes later there’s a knock on the door and someone is standing there with the cured pig’s leg you asked for. Hopefully, she understands what you ACTUALLY mean, laughs, explains and then you both laugh about it. But maybe she doesn’t and you get a slap. After all, many young women don’t take kindly to being called a horse! 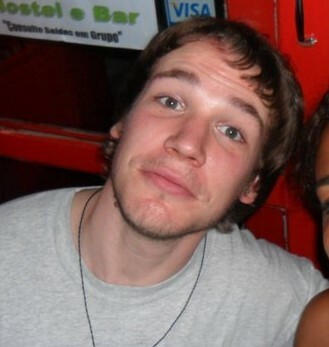 Just in case, try to remember the other word for ‘hair’, pelo. It’s been a long day of sightseeing and you make it back to the hotel and hit the bar. The bar keeper, a charming young man, asks you how your day was. You’ve been walking all day and your feet hurt and you got a little bit sunburnt standing in line to get into the tourist attraction, but you are on holiday and you want to stay positive! Ah, that thorn in Spanish learners’ sides, the elusive difference between ser and estar (to be)! 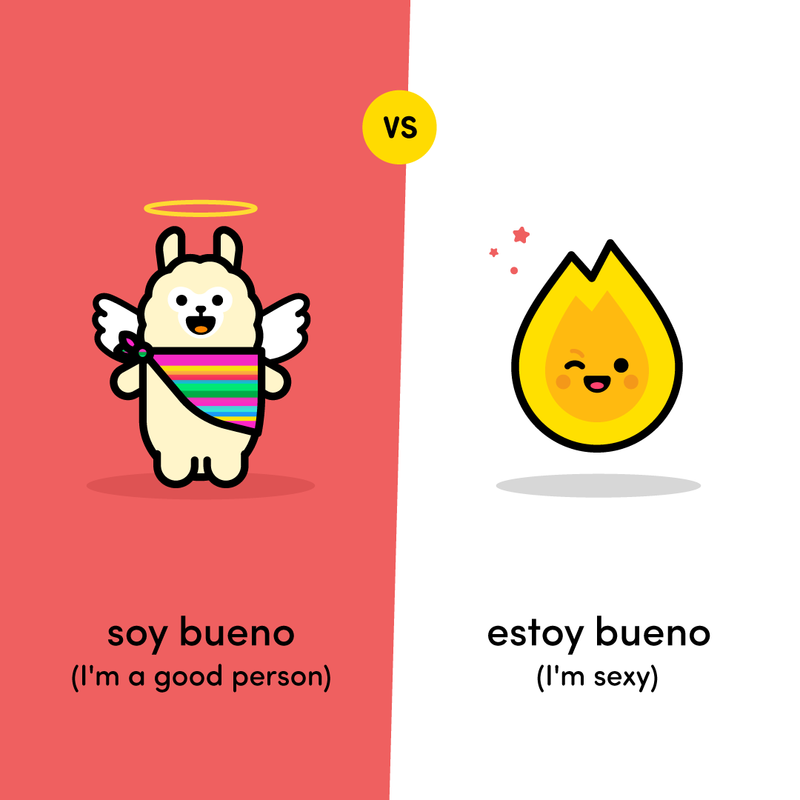 Literally translated, ser bueno and estar bueno mean ‘be good’ and, er…‘be good’! Quite easy to see why non native speakers might get these mixed up, isn’t it? Another way of understanding this is that the first bueno translates as ‘good’, as in a good person, whereas the second bueno translates as something along the lines of ‘tasty’, as in something you’d bite into (we talk about someone being hot in English when we mean attractive). The only way to differentiate which one we mean without context is through understanding the use of ser and estar. The short explanation of how the two sides of the Spanish verb ‘to be’ work is that ser is used for things that don’t change, that are the essence of something, whereas estar is used for things that do change (beauty, like youth is something that is fleeting! ), for states of things. For more details, check out our Spanish grammar page! There are many funny pitfall when learning any language. 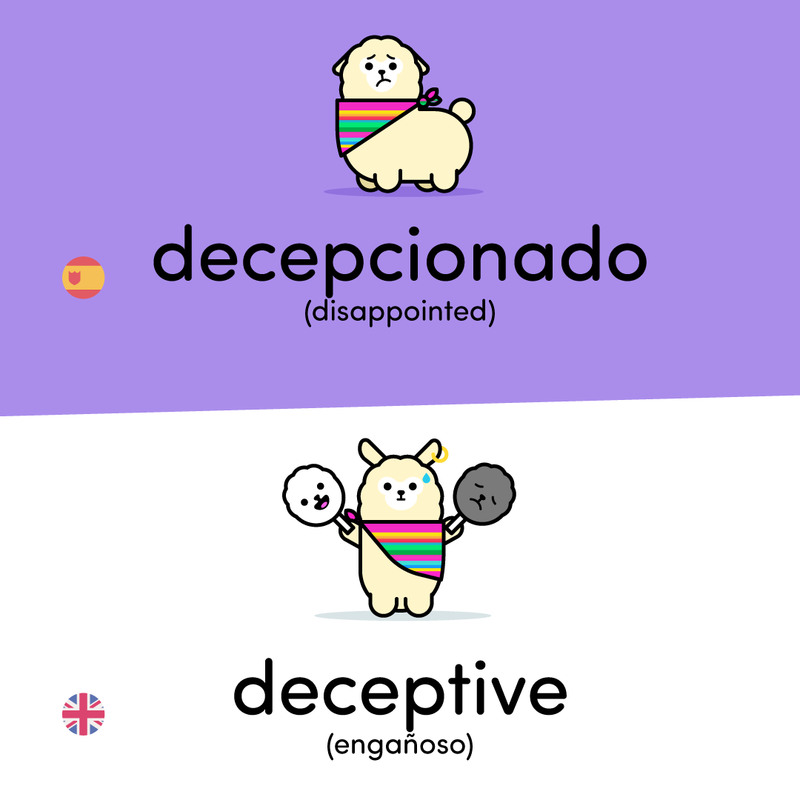 Take a gander at our Instagram for more funny false friends, cognates and common mixups in Spanish (and also in German) that set traps for those that are trying to learn the language. Don’t fret over mistakes you make though, even if they lead to potentially problematic misunderstandings, and keep an eye out for confused looks or chuckles when speaking to native speakers. Associating a mistake you make with the laugh you had with someone when it happened is the best way to learn!